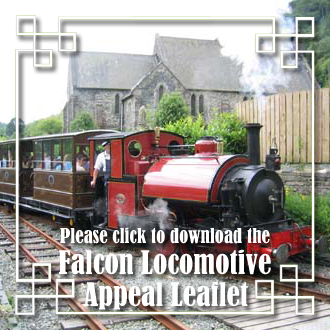 Links to other websites either in the same area of the Corris Railway or sharing the same or similar interests. 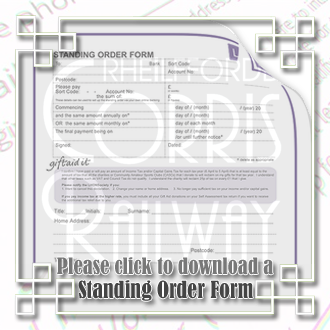 The Corris Railway cannot accept any responsibility for the availability nor content of web sites that are linked to from this page. Aber Cabins offer an ideal location for a relaxing break in an area of outstanding natural beauty with lots of activities and miles of beautiful beaches within easy reach. With some of the best log cabins in North Wales we can provide you with a fantastic break. Bodmin & Wenford Railway. There's nothing quite like a journey on a steam train, through the beautiful countryside of Cornwall. Campsites.co.uk. The UK's number one choice for finding and booking great camping, touring and glamping sites. The link will take you directly to campsites in the Machynlleth area. Corris Mine Explorers. Explore a long abandoned Welsh Slate Mine. Step back in time with Corris Mine Explorers in Mid Wales as you explore the workings of an old Welsh Slate Mine. Ffestiniog Railway. Another of the Welsh narrow-gauge lines. Glan y Môr Caravan Park & Swn y Môr Holiday Park. A leading caravan UK park. It is located adjacent to Clarach Bay just minutes away from the popular Welsh town of Aberystwyth. Swn y Môr Holiday Park is located near Borth and the Ynyslas sand dunes. The popular links at Borth & Ynyslas Golf Club are just minutes away. Glyn Valley Tramway Group. Close to the border with England, the narrow-gauge Glyn Valley Tramway served the Ceiriog Valley from 1873 until 1935. Golden Valley Light Railway, at the Midland Railway Centre. Isle of Man Guide. 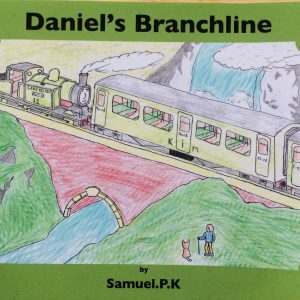 Including information on the Steam Railway, Electric Railway (world's oldest tram cars in regular operation), Groudle Glen Railway and the Snaefell Mountain Railway. King Arthur's Labyrinth Underground Adventure. An Underground Storytelling Adventure in Corris, near Machynlleth in Mid Wales. Sail underground, through the great waterfall, and deep inside the spectacular caverns of the Labyrinth and far back in time. Once inside the Labyrinth, your hooded boatman guides you through tunnels and vast caverns, whilst you enjoy tales of King Arthur and other ancient Welsh legends. Stories of dragons, of giants, of battles and many more are told, complete with dramatic scenes, sound and light effects. Cool when Hot and Dry when Wet, this is the perfect all-weather attraction. Lynton & Barnstaple. Located in the South West of England, The Lynton and Barnstaple Railway was opened in 1898 and closed in 1935. 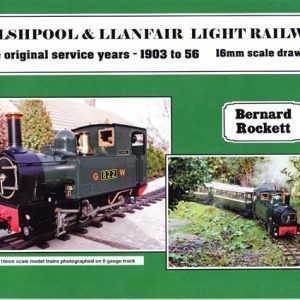 Built to a track gauge of 1ft 11½in, it ran for a distance of 19½ miles linking the two North Devon towns from which it takes its name. Marlow & District Railway Society. 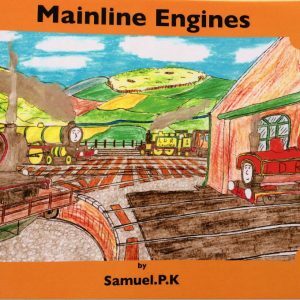 A group of railway enthusiasts based in Marlow, Buckinghamshire, and with members from the surrounding districts, including High Wycombe, Bourne End, Henley, Maidenhead and Twyford. Narrow Gauge Pleasure. Excellent site by Nick Lewis devoted to The British Narrow Gauge Railways and what makes them worth visiting. Nigel Bird Books. 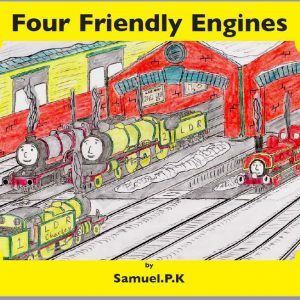 Looking for railway books, rare, out of print, secondhand or new then well worth a visit. Pen y Bont Touring and Camping Park near Bala Lake, in the Snowdonia National Park is a fantastic base for many of the areas outdoor activities including Sailing, Walking, Canoeing, Kayaking and sightseeing. Alternatively can just relax in our beautiful and peaceful site, and take in the local scenery and enjoy the Beautiful Mountains, Lakes and Coastlines, Lake Vyrnwy and many other Tourist Attractions close by. Penmaenbach, self catering accommodation offered on a working farm. Penrhyn Railway Heritage Trust recently formed to restore and protect the Penrhyn Quarry Railway, probably the oldest 2 foot gauge railway in Wales. Plas Dolguog Hotel. You can be sure of a warm welcome and an enjoyable stay at Plas Dolguog Hotel, Somewhere Special Since 1632. 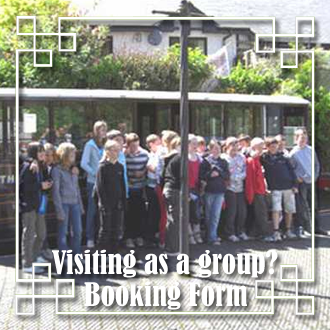 UK Schooltrips. A free resource for teachers and other educational group trip organisers, to research, plan and book their own school trip and educational visit quickly and easily. Snowdonia Log Cabins. Backing onto the Cader Idris mountain range with the popular beaches of Fairbourne and Barmouth less than two miles away. The Bodmin & Wenford Steam Railway. There's nothing quite like a journey on a steam train, through the beautiful countryside of Cornwall. The Centre for Alternative Technology. Natural, technological and human worlds combined. The Corris Bunkhouse. Ty'n y Berth and Bryn Coedwig are 2 Mountain Centres offering bunkhouse style accommodation, close to the village of Corris, between Machynlleth and Dolgellau, on the southern edge of the Snowdonia National Park. The Corris Craft Centre near Machynlleth in Mid Wales, has ten Craft workshops packed with unique hand crafted items for your home, garden and gifts for others. Talented craftspeople can be seen producing a range of quality items ranging from traditional, rustic and contemporary. Visitors to the Craft Centre will see the Craftspeople at work and can buy directly from them. 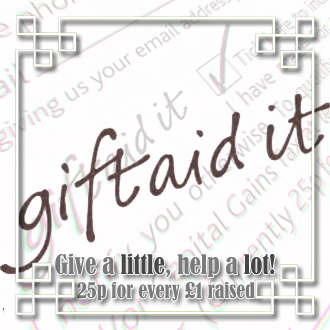 The perfect place for very special, yet slightly unusual, items for your home and gifts for others. Also a great place for your Christmas shopping. The Great Little Trains of Wales are a very special way of seeing some of the best scenery in the British Isles. All are narrow gauge steam railways and some have a history spanning well over 100 years. All of them have in common the charm of old-time steam trains with plenty of polished paintwork and brass. The Old Rectory on the lake nestles on the south side of Cader Idris, in North Wales, and enjoys spectacular views across Tal-y-Llyn to the steep sided mountain opposite. The Slaters Arms, to where beer was once delivered by The Corris Railway. The pub has an extensive range of ales from The Celt Experience and other Welsh breweries. The Talyllyn Railway 2' 3" gauge - same as The Corris Railway. Runs from Tywyn to Nant Gwernol. The Teifi Valley Railway was created from a branch line of the Great Western Railway which served the West Wales rural area. Situated near the market town of Newcastle Emlyn between Carmarthen and Cardigan it offers the visitor a nostalgic reminder of the history of steam. Tudor House, Bell Busk, Nr. Malham, Yorkshire Dales. A rather unusual Guest House as it is a former Victorian Railway Station close to the preserved railways of Bolton Abbey and Keighley and Worth Valley. Wales Holidays, providing holiday cottages in Wales for over 35 years - Based in Newtown, Wales Holidays is a locally-based national cottage agency with an outstanding selection of rural and coastal self-catering holiday cottages in North Wales and Snowdonia, West Wales and Pembrokeshire, Gower, Mid Wales and the Brecon Beacons. We also cater for pet lovers with our pet friendly cottages. Welsh Heritage Centre. If you are visiting this beautiful part of Wales and in search of some Welsh Culture, then look no further! West Wales Holiday Cottages. Family-friendly and dog-friendly holiday cottages in Wales - visit, the local specialists. Wincilate Limited based in Aberllefenni Slate Quarries, Wincilate Limited is a specialist supplier of all slate products for architectural, monumental, landscaping and civil engineering purposes. One of the slate quarries that were once served by the Corris Railway from around the 1850's - and is still operational today.